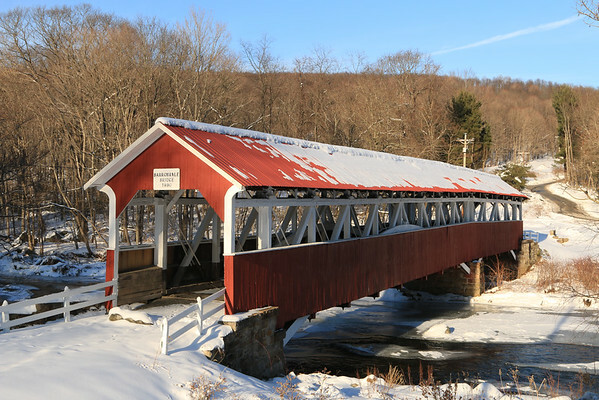 The Barronvale Covered Bridge is the longest covered bridge in Somerset County. It is a rare surviving multiple-span Burr arch truss. The bridge was originally built as an multiple kingpost. The bridge identification signs give a build date of 1830, though VisitPA states the bridge was built around 1845. The bridge was modified in 1907 in which the arches were added, converting the bridge to a Burr arch truss. Unlike most covered bridges, the Barronvale Covered Bridge retains historic integrity since it is still truss-supported. The bridge was bypassed in 1962 and is open to pedestrians only.